September Is "Childhood Obesity Awareness Month"
A rumor circulating that LA schools were sending so-called “fat letters” to parents about their overweight children turned out to be false, NBC4 found. But the online chatter did raise the issue of how to address a very real statistic: 1 in 3 children – ages 2 to 19 – in the U.S. is overweight or obese. That’s about 23 million kids. 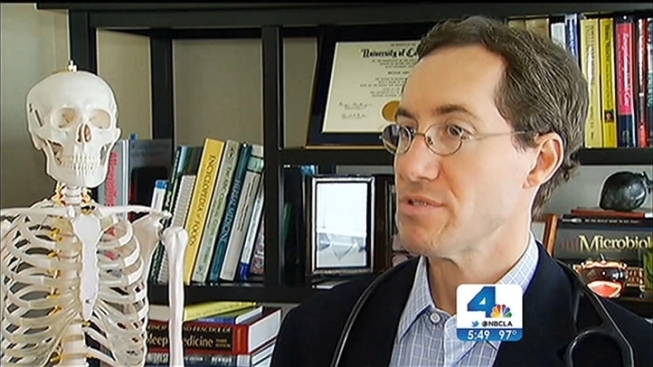 Health professionals, like Tarzana’s Dr. Michael Hirt, said it’s one thing to blame popular culture or food-related industries. In reality, he said, parents are also part of the problem. “Seventy-five percent of them don’t recognize their children as fat,” Hirt said. September has been dubbed “Childhood Obesity Awareness Month,” a movement to help households recognize the danger signs. But Hirt said that fixing a child’s weight problem can be complicated by shame, stigma and hurt feelings. Parents should first look up the definitions of weight, body mass index, and use this CDC calculator to determine their child or teen’s BMI. Then, if necessary, parents may have to face their own weight issues. “It’s hard for parents to see themselves, sometimes, as unhealthy, and therefore see that in their child,” Hirt said. He added that it is tough for parents to approach their children about such a sensitive subject. One suggestion is to never grab fattening or unhealthy food out your child’s hands and to choose words carefully. Nurturing a child as he or she works through a weight problem is important. And before long, the pounds will start coming off.